To download the Sinhala fonts used in this article, please see Wikipedia:Sinhala Font Guide. Sri Lanka, officially the Democratic Socialist Republic of Sri Lanka (ශ්රී ලංකා in Sinhala, இலங்கை in Tamil; known as Ceylon before 1952) is a predominantly Buddhist island nation in South Asia, located about 31 kilometres (18½ mi) off the southern coast of India. It is often popularly referred to as the Pearl of the Indian Ocean. It is home to more than 20 million people. A strategic naval link between West Asia and South East Asia, Sri Lanka has been an ancient centre of Buddhist religion and culture. Significant numbers of people also adhere to Hindu, Christianity, Islam and indigenous religions. 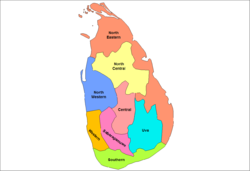 Sinhalese people form a majority of the population (74%), which also consists of smaller communities of Tamil, Muslims, Burghers and indigenous peoples. Famous for the production and export of tea, coffee, rubber and coconuts, Sri Lanka also boasts a progressive and modern industrial economy. The natural beauty of Sri Lanka's tropical forests, beaches and landscape and rich cultural heritage make it a famous destination for tourists worldwide. After over a thousand years of rule by independent kingdoms and at one point was intergrated into the Chola Empire, Sri Lanka was colonised by Portugal and the Dutch before passing to the control of the British Empire.During World War II it served as an important base in the fight against the Japanese. A nationalist political movement arose in the country in the early 20th century to obtain political independence, which was granted in 1948. Although it enjoyed a stable period of democracy and economic progress, the nation has been torn by a bloody civil war between the Sinhalese-dominated government and Tamil separatists led by the LTTE who demand an independent Tamil state in northeastern Sri Lanka. Tsunamis caused by the 2004 Indian Ocean earthquake devastated the southern and north-eastern part of the nation, causing the deaths and displacement of a large segment of the population. In 1972, the official name of the country was changed to " Free, Sovereign and Independent Republic of Sri Lanka" (ශ්‍රී ලංකා śrī lankā in Sinhala (whereas the island itself is referred to as ලංකාව lankāva), இலங்கை ilaṅkai in Tamil). In 1978 it was changed to " Democratic Socialist Republic of Sri Lanka". Prior to 1972, Sri Lanka was known by a variety of names: ancient Greek geographers called it Taprobane, Arabs referred to it as Serendib, Ceilão was the name given to Sri Lanka when the Portuguese arrived on the island, but perhaps the best known is Ceylon. "Sri Lanka" (originally Sanskrit) is translated as "venerable Lanka", "śrī" meaning "venerable" and "laṃkā" being the ancient name of the island as attested in the Mahabharata and the Ramayana. Ancient Sri Lanka was ruled by various small kingdoms that dominated different regions. The island was also infrequently invaded by South Indian kingdoms and parts of the island were ruled intermittently by the Chola dynasty, the Pandya dynasty, the Chera dynasty and the Pallava dynasty. The island was also invaded by the kingdoms of Kalinga (modern Orissa) and those from the Malay Peninsula. Buddhism arrived from India in the 3rd century BCE, brought by Bhikkhu Mahinda, who is believed to have been either the son or brother of Mauryan emperor Ashoka. Mahinda's mission won over the Sinhalese monarch Devanampiyatissa of Mihintale, who embraced the faith and propagated it throughout the Sinhalese population. The Buddhist kingdoms of Sri Lanka would maintain a large number of Buddhist schools and monasteries, and support the propagation of Buddhism into Southeast Asia. Sri Lanka had always been an important port and trading post in the ancient world, and was increasingly frequented by merchant ships from the Middle East, Persia, Burma, Thailand, Malaysia, Indonesia and other parts of Southeast Asia. The island were known to the first European explorers of South Asia and settled by many groups of Arab and Malay merchants. A Portuguese colonial mission arrived on the island in 1505. 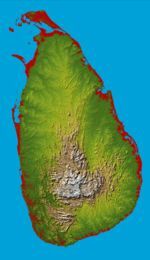 At that point the island consisted of three kingdoms, namely Yarlpanam (Anglicised Jaffna) in the north, Kandy in the central hills and Kotte at the Western coast. The Dutch arrived in the 17th century. Although much of the island came under the domain of European powers, the interior, hilly region of the island remained independent, with its capital in Kandy. The British East India Company established control of the island in 1796, declaring it a crown colony in 1802, although the island would not be officially connected with British India. The fall of the kingdom of Kandy in 1815 unified the island under British rule. European colonists established a series of tea, cinnamon, rubber, sugar, coffee and indigo plantations. The British also brought a large number of indentured workers from Tamil Nadu to work in the plantation economy. The city of Colombo was established as the administrative centre, and the British established modern schools, colleges, roads and churches that brought Western-style education and culture to the native people. Increasing grievances over the denial of civil rights, mistreatment and abuse of natives by colonial authorities gave rise to a struggle for independence in the 1930s, when the Youth Leagues opposed the "Ministers' Memorandum," which asked the colonial authority to increase the powers of the board of ministers without granting popular representation or civil freedoms. During World War II, the island served as an important Allied military base. A large segment of the British and American fleet were deployed on the island, as were tens of thousands of soldiers committed to the war against Japan in Southeast Asia. Following the war, popular pressure for independence intensified. On February 4, 1948 the country won its independence as the Commonwealth of Ceylon. Don Stephen Senanayake became the first Prime Minister of Sri Lanka. In 1972, the country became a republic within the Commonwealth, and the name was changed to Sri Lanka. On July 21, 1960 Sirimavo Bandaranaike became the first female head of government in post-colonial Asia when she took office as prime minister. In the 1970s, political conflicts emerged between the Sinhalese and Tamil communities. The Tamil community cited extensive institutional discrimination and political disenfranchisement, and sought increased regional autonomy and affirmative action. In the 1980s, the island's long-standing peace and stability was shattered by the Tamil separatist movement led by the Liberation Tigers of Tamil Eelam (LTTE), which demanded an independent state of Ealam in northeastern Sri Lanka. A 1986 peace accord brokered by India failed by 1988 when Indian peacekeepers were drawn into a direct military conflict with the LTTE while attempting to disarm the militants. Sri Lankan nationalists sought the exit of Indian troops, and by 2000 as many as 50,000 people were killed in battles between the Sri Lankan Army and the LTTE, which controls parts of the northeast. A tentative ceasefire has restored peace to the island as the government and the LTTE engage in diplomacy under the mediation of Norway. The 2004 Indian Ocean earthquake created powerful tsunamis that devastated the south and east of the island, killing and displacing close to 40,000 people. Topographical map of Sri Lanka. The island of Sri Lanka lies in the Indian Ocean, to the southwest of the Bay of Bengal and to the southeast of the Arabian Sea. It is separated from the Indian subcontinent by the Gulf of Mannar and the Palk Strait. According to Hindu mythology, a land bridge to the Indian mainland, known as Rama's Bridge, was constructed during the time of Rama by the vanara architect Nala. Often referred to as Adam's Bridge, it now amounts to only a chain of limestone shoals remaining above sea level. According to temple records, this natural causeway was formerly complete, but was breached by a violent storm (probably a cyclone) in 1480. The width of the Palk Strait is small enough for the coast of Sri Lanka to be visible from the furthest point near the Indian town of Rameswaram. The pear-shaped island consists mostly of flat-to-rolling coastal plains, with mountains rising only in the south-central part. Amongst these are Sri Pada and the highest point Pidurutalagala (also known as Mt Pedro), at 2,524 meters (8,281 ft). The Mahaweli ganga (Mahaweli river) and other major rivers provide fresh water. Sri Lanka's climate can be described as tropical, and quite hot. Its position between 5 and 10 north latitude endows the country with a warm climate, moderated by ocean winds and considerable moisture. The mean temperature ranges from a low of 16°C in Nuwara Eliya in the Central Highlands (where frost may occur for several days in the winter) to a high of 32° C in Trincomalee on the northeast coast (where temperatures may reach 38 °C). The average yearly temperature for the country as a whole ranges from 28 to 30 °C. Day and night temperatures may vary by 4 to 7. In January, the coolest month, many people wear coats and sweaters in the highlands and elsewhere. May, the hottest period, precedes the summer monsoon rains. The rainfall pattern is influenced by the monsoon winds of the Indian Ocean and Bay of Bengal, which encounter the slopes of the Central Highlands, they unload heavy rains on the mountain slopes and the southwestern sector of the island. Some of the windward slopes receive up to 2500 mm of rain per month, but the leeward slopes in the east and northeast receive little rain. Periodic squalls occur and sometimes tropical cyclones bring overcast skies and rains to the southwest, northeast, and eastern parts of the island. Between December to March, monsoon winds come from the northeast, bringing moisture from the Bay of Bengal. Humidity is typically higher in the southwest and mountainous areas and depends on the seasonal patterns of rainfall. 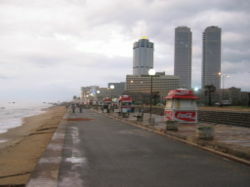 At Colombo, for example, daytime humidity stays above 70% all year, rising to almost 90 percent during the monsoon season in June. Anuradhapura experiences a daytime low of 60% during the monsoon month of March, but a high of 79% during the November and December rains. In the highlands, Kandy's daytime humidity usually ranges between 70 and 79%. The pattern of life in Sri Lanka depends directly on the availability of rainwater. The mountains and the southwestern part of the country, known as the "wet zone," receive ample rainfall (an annual average of 250 centimeters). Most of the southeast, east, and northern parts of the country comprise the "dry zone, which receives between 1200 and 1900 mm of rain annually. Much of the rain in these areas falls from October to January; during the rest of the year there is very little precipitation, and all living creatures must conserve precious moisture. The arid northwest and southeast coasts receive the least amount of rain — 600 to 1200 mm per year — concentrated within the short period of the winter monsoon. Varieties of flowering acacias are well adapted to the arid conditions and flourish on the Jaffna Peninsula. Among the trees of the dry-land forests are some valuable species, such as satinwood, ebony, ironwood, and mahogany. In the wet zone, the dominant vegetation of the lowlands is a tropical evergreen forest, with tall trees, broad foliage, and a dense undergrowth of vines and creepers. Subtropical evergreen forests resembling those of temperate climates flourish in the higher altitudes. Forests at one time covered nearly the entire island, but by the late 20th century lands classified as forests and forest reserves covered only one-fifth of the land. Ruhunu National Park in the southeast protects herds of elephant, deer, and peacocks, and Wilpattu National Park in the northwest preserves the habitats of many water birds, such as storks, pelicans, ibis, and spoonbills. 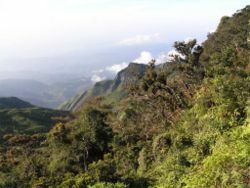 During the Mahaweli Ganga Program of the 1970s and 1980s in northern Sri Lanka, the government set aside four areas of land totalling 1,900 km² as national parks. The island has three biosphere reserves, Hurulu, Sinharaja, and the Kanneliya-Dediyagala-Nakiyadeniya. Members of parliament are elected by universal (adult) suffrage based on a modified proportional representation system by district to a six-year term. The primary modification is that the party that receives the largest number of valid votes in each constituency gains a unique "bonus seat." The president may summon, suspend, or end a legislative session and dissolve Parliament any time after it has served for one year. The parliament reserves the power to make all laws. On July 1, 1960 the people of Sri Lanka elected the first-ever female head of government in Prime Minister Srimavo Bandaranaike. Her daughter Chandrika Kumaratunga has served multiple terms as prime minister and as president from 1999 to 2005. The current president is Mahinda Rajapaksa who took office on November 21, 2005. Ratnasiri Wickremanayake took office as the current prime minister on November 21, 2005. Politics in Sri Lanka are controlled by rival coalitions led by the left-wing Sri Lanka Freedom Party, headed by President Rajapakse, and the comparatively right-wing United National Party led by former prime minister Ranil Wickremesinghe. There are also many smaller Buddhist, socialist and Tamil nationalist political parties that oppose the separatism of the LTTE but demand regional autonomy and increased civil rights. Since 1948, Sri Lanka has been a member of the Commonwealth of Nations and the United Nations. It is also a member of the Non-Aligned Movement, the Colombo Plan, Asia-Pacific Economic Cooperation and the South Asian Association for Regional Cooperation. Through the Cold War-era, Sri Lanka followed a foreign policy of non-alignment but has remained closer to the United States and Western Europe. The Military of Sri Lanka comprises of the Sri Lankan Army, the Sri Lankan Navy and the Sri Lankan Air Force. These are administered by the Ministry of Defence. Since the 1980s, the army has led the government response against the Marxist militants of the JVP and now the LTTE militant forces. Sri Lanka receives considerable military assitsance from India, the United States and European nations. In the 19th and 20th centuries, Sri Lanka became a plantation economy, famous for its production and export of cinnamon, rubber and Ceylon tea, which remains a trademark national export. The development of modern ports under British rule raised the strategic importance of the island as a centre of trade. During World War II, the island hosted important military installations and Allied forces. However, the plantation economy aggravated poverty and economic inequality. From 1948 to 1977 socialism strongly influenced the government's economic policies. Colonial plantations were dismantled, industries were nationalised and a welfare state established. While the standard of living and literacy improved significantly, the nation's economy suffered from inefficiency, slow growth and lack of foreign investment. From 1977 the UNP government began incorporating privatisation, deregulation and promotion of private enterprise. While the production and export of tea, rubber, coffee, sugar and other agricultural commodities remains important, the nation has moved steadily towards an industrialised economy with the development of food processing, textiles, telecommunications and finance. By 1996, plantation crops made up only 20% of exports (compared with 93% in 1970), while textiles and garments have reached 63%. The GDP grew at an average annual rate of 5.5% during the early 1990s, until a drought and a deteriorating security situation lowered growth to 3.8% in 1996. The economy rebounded in 1997-2000, with average growth of 5.3%. The year of 2001 saw the first economic contraction in the country's history, as a result of power shortages, budgetary problems, the global slowdown, and continuing civil strife. Signs of recovery appeared after the 2002 ceasefire. 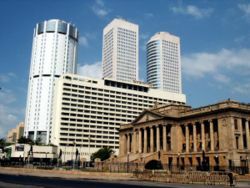 The Colombo Stock Exchange reported the highest growth in the world for 2003, and today Sri Lanka has the highest per capita income in South Asia. In April 2004, there was a sharp reversal in economic policy after the government headed by Ranil Wickremesinghe of the United National Party was defeated by a coalition made up of Sri Lanka Freedom Party and the leftist-nationalist Janatha Vimukthi Peramuna called the United People's Freedom Alliance. The new government stopped the privatization of state enterprises and reforms of state utilities such as power and petroleum, and embarked on a subsidy program called the Rata Perata economic program. Its main theme to support the rural and suburban SMEs and protect the domestic economy from external influences, such as oil prices, the World Bank and the International Monetary Fund. But this policy of subsidizing imported commodities like fuel, fertiliser and wheat soon unravelled the fiscal sector. In 2004 alone Sri Lanka spent approximately US$ 180 million on a fuel subsidy, as fixing fuel prices had been an election promise. To finance the expanded budget deficit arising from a range of subsidies and a public sector recruitment drive, the government eventually had to print Rs 65 billion (US$ 650 million) or around 3% of GDP. The expansionary fiscal policy, coupled with loose monetary policy eventually drove inflation up to 18% by January 2005, as measured by the Sri Lanka Consumer Price Index. Most Sri Lankan cities and towns are connected by the Sri Lanka Railways, the state-run national railway operator. The first railway line was inaugurated on April 26, 1867, linking Colombo with Kandy. The total length of Sri Lankan roads exceeds 11,000 kilometres, with a vast majority of them being paved. The government has launched several highway projects to bolster the economy and national transport system, including the Colombo-Katunayake Expressway, the Colombo-Kandy (Kadugannawa) Expressway, the Colombo-Padeniya Expressway and the Outer Circular Highway to ease Colombo's traffic congestion. There are also plans to build a major bridge connecting Jaffna to the Indian city of Chennai. The Ceylon Transport Board is the state-run agency responsible for operating public bus services across the island. Sri Lanka also maintains 430 kilometres of inland waterways. It has three deep-water ports at Colombo, Trincomalee and Galle. There is also a smaller, shallower harbour at Kankesanturai, north of Jaffna. There are 12 paved airports and 2 unpaved airstrips in the country. SriLankan Airlines is the official national carrier, partly owned and operated by Emirates. It was voted the best airline in South Asia by Skytrax. SriLankan Air Taxi is the smaller, domestic arm of the national carrier, while Expo Aviation and Lankair are private airline companies. The Bandaranaike International Airport is the country's only international airport, located in Katunayaka, 22 kilometres north of Colombo. Sri Lanka is the 53rd most populated nation in the world, with an annual population growth rate of 0.79%. Sri Lanka has a birth rate of 15.63 births per 1,000 people and a death rate of 6.49 deaths per 1,000 people. Population density is the greatest in western Sri Lanka, especially in and around Colombo. There is a small population on the island of the Wanniyala-Aetto people, also known as Veddahs. These are believed to be the oldest and indigenous ethnic group to inhabit the island. The Sinhalese people form the largest ethnic group in the nation, composing approximately 74% of the total population. Sri Lankan Tamils form 18% of the population, and are mainly concentrated in the northeastern part of the country. Tamils who were brought as indentured labourers from India by British colonists to work on estate plantations, are called "Indian Origin" Tamils. They are distinguished from the native Tamil population that has resided in Sri Lanka since ancient times. There is a significant population of Moors, who trace their lineage to Arab traders and immigrants. Their presence is concentrated in the eastern provinces. There are also small ethnic groups such as the Burghers (of mixed European descent) and Malay people. Sinhalese and Tamil are the two official languages of Sri Lanka. English is spoken by approximately 10% of the population, and is widely used for education, scientific and commercial purposes. Members of the Burgher community speak variant forms of Portuguese Creole and Dutch with varying proficiency. Sri Lanka also enjoys significant religious diversity. Approximately 68% of Sri Lankan peoples are adherents of Buddhism. Theravada Buddhism is the predominant school, with distinctive sects such as Ramanna Nikaya, Amarapura Nikaya and Siam Nikaya being widely followed. Buddhism in Sri Lanka has been deeply influenced by indigenous faiths and traditions, as well as the influences of prevailing Buddhist schools in South East Asia. The ancient and famous Sri Dalada Maligawa or "Temple of the Tooth" is the principal Buddhist Temple in Sri Lanka, and by tradition houses the Tooth of Buddha. It is visited every year by millions of pilgrims. There are many other famous religious institutions in Sri Lanka that attract many visitors daily. 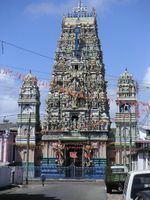 Hinduism is practiced by 18% of the population, mainly from the Tamil community. Christianity is practiced by 7-8% of the population, especially by the Portuguese and Dutch Burgher people. While most Sri Lankan Christians are Catholics, there are also significant numbers who adhere to Dutch Reformed Church and the Anglican Communion. The island is the home of two main traditional cultures: the Sinhalese (centered in the ancient cities of Kandy and Anuradhapura) and the Tamil (centered in the city of Jaffna, where the public library that was destroyed in 1983 was the world centre of Tamil archives and scholarship). In more recent times a British colonial culture was added, and lately Sri Lanka, particularly in the urban areas, has experienced a dramatic makeover in the western mold. Until recently, for example, most Sri Lankans, certainly those in the villages, have eaten traditional food, engaged in traditional crafts and expressed themselves through traditional arts. But economic growth and intense economic competition in developed countries has spilled over even to much of Sri Lanka, producing changes that might variously be identified as progress, westernisation or a loss of identity and assimilation. Sri Lankans have added western influences to the customary diet such as rice and curry, pittu (mixture of fresh rice meal, very lightly roasted and mixed with fresh grated coconut, then steamed in a bamboo mould). Kiribath (cooked in thick coconut cream for this unsweetened rice-pudding which is accompanied by a sharp chili relish called ";lunumiris"), wattalapam (rich pudding of Malay origin made of coconut milk, jaggery, cashew nuts, eggs, and various spices including cinnamon cloves and nutmeg), kottu, and hoppers ("appa"), batter cooked rapidly in a hot curved pan, accompanied by eggs, milk or savouries. Sri Lankan food also has Dutch and Portuguese influences, with the island's Burgher community preserving this culture through traditional favourites such as Lamprais (rice cooked in stock and baked in a banana leaf), Breudher (Dutch Christmas cake) and Bolo Fiado (Portuguese-style layer cake). Being one of the largest producers of tea in the world (the Royal Family of the United Kingdom has been known to drink Ceylon tea), Sri Lankans drink a lot of tea. 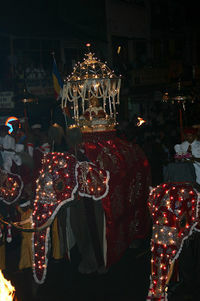 Religion plays an important part in the life and culture of Sri Lankans. The Buddhist majority observe Poya Days, once per month according to the Lunar calendar. The Hindus and Muslims also observe their own holidays. There are many Buddhist temples in Sri Lanka and many mosques, Hindu temples and churches all across the island. The North and the East of the island have many mosques and Hindu temples because a large Tamil and Muslim population resides in those areas. Many churches can be found along the southern coast line because of a concentration of Christians, particularly Roman Catholics, in that region. The interior of the island is mostly Buddhist, and indeed there are many Buddhists in all parts of the island. Main hall of the Trinity College. Sri Lanka enjoys the highest literacy rate in South Asia and much of the developing world, with more than 96% of the population being literate. A free education system was initiated by Dr. C. W. W. Kannangara, Sri Lanka's education minister. Mr. Kannangara led the establishment of the Maha Vidyalayas (Great Central Schools) in different parts of the country in order to provide education to Sri Lanka's rural population. In 1942 a special education committee proposed extensive reforms to establish an efficient and quality education system for the people. In recent decades, a large number of private and international schools have been established across the nation. The International Baccalaureate and Edexcel General Certificate of Secondary Education are popular education programmes. There are many schools and academies run by Buddhist and Christian missions. Buddhist and Christian missions provide religious as well as modern education. There are also a growing number of madrassahs in the country. Sri Lanka also has a large number of public and private universities. Most of these schools are modelled on British colleges and universities. Royal College, Colombo is the oldest modern college in Sri Lanka, founded in 1835. 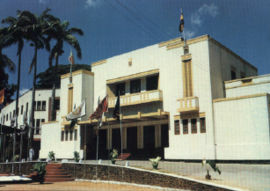 The most reputed and distinguished educational institutions in Sri Lanka include the University of Colombo, the University of Kelaniya, the University of Sri Jayewardenepura, University of Moratuwa, the University of Peradeniya, the University of Jaffna, the University of Ruhuna, and the Eastern University of Sri Lanka. The national ambassador for cricket is Muttiah Muralitharan. The national sport in Sri Lanka is volleyball , while aquatic sports, athletics, football,tennis and rugby also enjoy extensive popularity. There are a large number of public and private sports, athletics and aquatic clubs in Colombo. Sri Lanka's schools and colleges regularly organise sports and athletics teams, competing on provincial and national levels. Aquatic sports such as boating, surfing, swimming and scuba diving on the coast, the beaches and backwaters attract a large number of Sri Lankans and foreign tourists. Sri Lanka has a large number of sports stadiums, including the Sinhalese Sports Club Ground, the R. Premadasa Stadium and the Rangiri Dumbulla Stadium in Colombo as well as the Galle International Stadium in Galle. 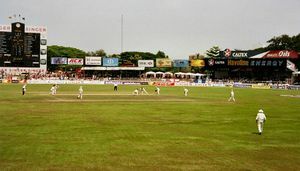 Although cricket and football matches are sometimes disrupted by heavy rains or security concerns owing to the LTTE militancy, Sri Lanka has hosted the Asia Cup tournament on numerous occasions. It co-hosted the 1996 Cricket World Cup with India and Pakistan, and will co-host the 2011 Cricket World Cup. The Sri Lankan cricket team has achieved considerable success in the 1990s, rising from underdog status to winning the 1996 World Cup and the Asia Cup in 1996 and 2004. Sri Lanka has produced many generations of legendary sportsmen such as Roy Dias, Arjuna Ranatunga, Aravinda de Silva, Sanath Jayasuriya, Roshan Mahanama, Marvan Attapatu, Muttiah Muralitharan, and Chaminda Vaas. Mahela Jayawardene holds the record for scoring the highest number of runs by a Sri Lankan in test cricket. Muttiah Muralitharan, a renowned master of off spin bowling has amassed more than 600 wickets in test cricket, making him the most successful bowler in cricket history. The current team is led by Mahela Jayawardene, having some good young players like Kumar Sangakkara, Upul Tharanga and Lasith Malinga whilst having senior players like Sanath Jayasuriya, Chaminda Vaas and Muttiah Muralitharan.